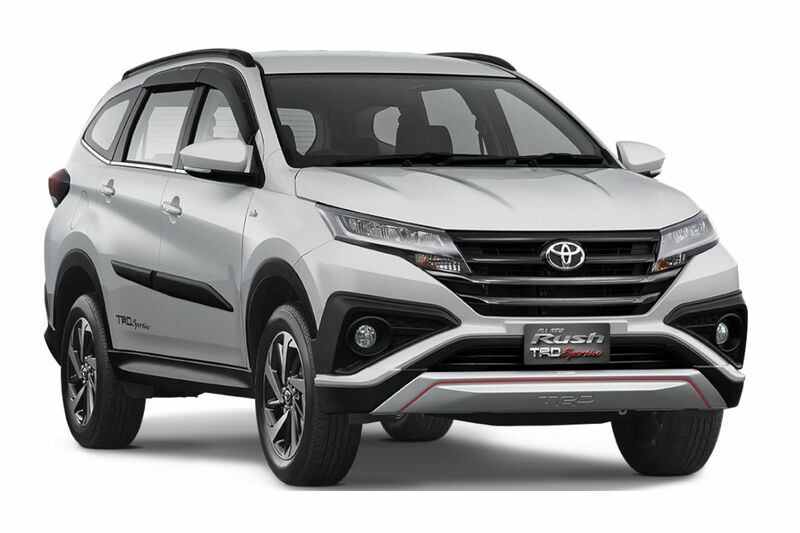 How Much Will It Cost to Transform the Toyota Rush Into the Rush TRD Sportivo? Understanding that some Rush owners would want a bit more personalization, Toyota Motor Philippines is opening up an expansive accessories line-up for their brand-new SUV offering. While Toyota does offer a complete appearance TRD appearance kit for the likes of the Fortuner, Hilux, and even FJ Cruiser, they’re not doing the same for the Rush, at least not yet. In short, if you want to transform your Rush 1.5 E or 1.5 G into a Rush TRD Sportivo, prepare to shell out an additional P 101,000 (all the Sporty Accessories plus the Muffler Cutter and Side Visor). While that does sound like a lot to pay for style, at least it’ll make your Rush a parking lot standout next to the thousands of Rush that Toyota’s expecting to sell. Toyota will laugh all the way to the bank. What is up with this guy and his can am spyder? He's everywhere. Toyota is rushing Rush to be a TuRD. Your car will look like one, and you will smell like one, when you fork cash for these useless things. Hope Toyota and other manufacturers will classify their new vehicles properly. We know that the Rush isn't a true SUV but Toyota is claiming it to be, same with the BRV, not sure with the Xpander, what does Mitsubishi calls it? These are already good new breakthrough products which can stand on their own; affordable pricing and loaded with features provides value for money to buyers. No need to ride on the popularity of being called an "SUV". Calling it as such is just creating confusion and illusion to the buying public. Recall the time of the Revo, Crosswind and Adventure those cars may better be classified as SUVs compared to these new generation crossovers, but at their time they were called AUVs. Agree with you sir. But why Honda calls it 7-seater SUV? The hell other cares, don't be so coward that even small details will be noticed. In the end it all doesn't matter. What is important is to have a car. If you read properly the post of anonymous 12:58AM it just want the manufacturers to classify vehicles properly to educate people. It maybe small details but it matters. Yes it is good and be thankful to have a car but will it be right for example a Honda Civic to be called a 4x4 SUV? How about a Ford Ranger to be called a minivan? Hyundai Starex to be called a sportscar? My example is exaggerated just to show you that small details still matters. Don't be so close minded.